Regardless of whether you’re a home owner or an investor, you never want to under estimate the power of a nice looking yard. A good landscaping job can help you tremendously when it comes to making an impression on prospective buyers and renters. Just planting some flowers can make a huge difference in the appearance of your home. Today I’ll be sharing ideas on things you can do to improve the look and feel of your yard, even if you’re on a budget. If the soil you’re planting stuff into isn’t optimal for growing, you’re not going to get the most out of what you’re planting. One thing you can use is compost. It’s a good idea to add compost into your garden beds every year, right before the growing season hits. It’s really important here in the Midwest, since we only have one major growing season here (late spring to early fall). 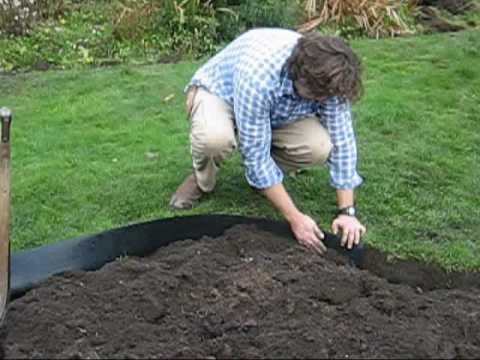 I like compost, because it’s the cheapest additive you can add to your soil to enhance it. You can buy it, or you can make it yourself by mixing your leaves with grass clippings, garden scraps, and hay. You just have to keep turning it on a regular basis. For more info on how to make compost, you can just Google “how to make compost” and you’ll find a bunch of resources that can help you with this. 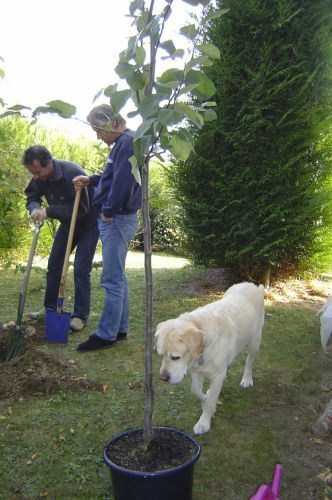 If you’re trying to plant a tree in your yard, you might want to look into some ways you can get trees for free. I don’t know if they still do it, but as of a few years ago it was pretty common to get free trees at Earth Day festivals. You might want to find out where the next Earth Day festival is taking place in your market and try to get there to see if you can get free trees from them. When the gardening season is over, you can find free trees and plants in the dumpsters of big stores, like Lowe’s and The Home Depot. I just Googled “free trees at earth day festival,” and I found a lot of sources that have trees that you can get for free. You can also volunteer for neighborhood beautification projects that are going on in your area. They tend to give away anything extra to the volunteers so they don’t have to throw anything away, so you can get free stuff that way too. One simple way of saving money on your landscaping project, is to do as much of the work yourself as you can. Paying professionals to do the work can add a lot to your landscaping budget. For example, let’s say you’re going to pay $2 or $3 for a perennial. Paying someone to plant them for you might add $10 more dollars to the price. That’s something you can do yourself, and save yourself some money. While you want to do as much as you can yourself, there are times when the smart move is to go ahead and hire someone. For example, you can plant flowers and stuff like that on your own; but you may need to hire a professional for the jobs that require more skill, like woodwork and masonry work. You can save a lot of money doing at least some of the work yourself. If you’re going to be needing a pro to help you with portions of your project, you may want to get your materials from a nursery that offers those kinds of services. That way, you can save some money, as nurseries often sell materials at discounts if you end up using their landscaping services. If you’re not really sure what you want to do from a landscaping standpoint, consider hiring a consultant. A good consultants can help you come up with a design that uses materials that fit your budget. They aren’t cheap though. You can expect to pay anywhere between $100 to $200 an hour for a consultant’s services. You can either pay them to come up with a design for you, or you can create it yourself, and pay them to review what you put together. If you’re on a budget, you can break the project down into phases. For example, you might want to focus on the tasks that’ll give you the most “bang for the buck” first. That way, even if you never get to the more intricate parts of your plan, you got the biggest difference-makers knocked-out. I gotta run right now, but I’ll be back with part two soon. 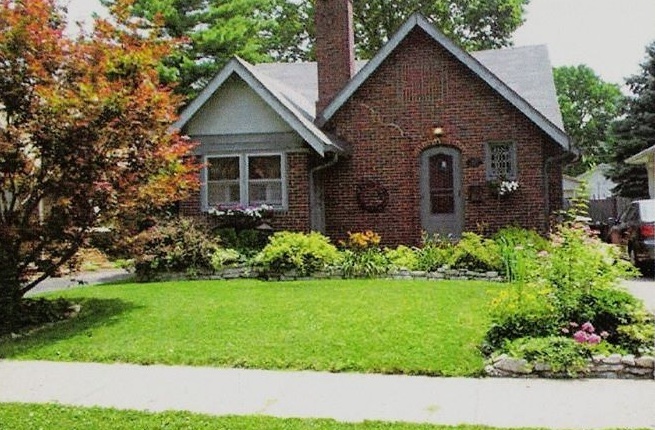 Can you think of any other landscaping tips for people on a budget? Leave a comment.